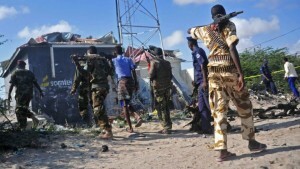 Suicide bombers have attacked the main peacekeeping base in the capital of Somalia. 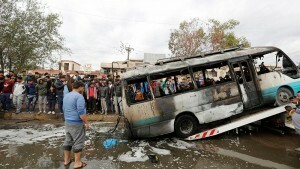 ISIL militants in Iraq are claiming responsibility for a suicide car bomb attack that has killed more than 20 people in Baghdad’s Sadr City. 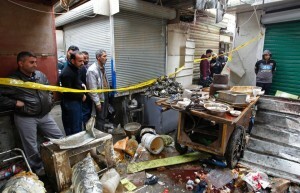 Twin explosions in a busy market in central Baghdad on Saturday killed over 27 people and injured dozens more. 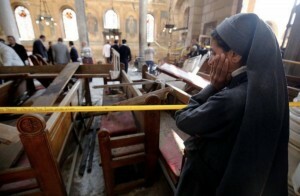 A 22-year-old suicide bomber was behind Sunday’s massacre at Cairo’s Coptic Christian Cathedral complex, Egypt’s President said on Monday. 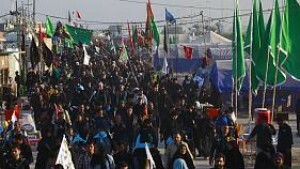 More than 80 people, most of them Shi’ite pilgrims from Iran, have been killed in the Iraqi city of Hilla. 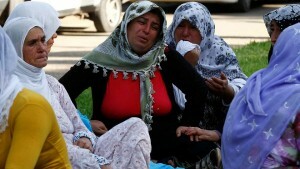 Ankara (Turkey) - At least 50 people have died and dozens have been injured after a bomb ripped through a Kurdish wedding party in Gaziantep, south-eastern Turkey. At least seventy people are now confirmed dead with over 100 injured following a suicide bomb attack at a hospital in Quetta, Pakistan. 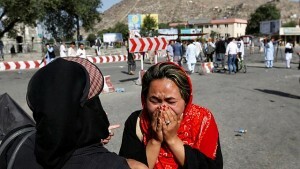 Kabul (Afghanistan) - As many as 80 people have been killed and around 230 injured in a suicide bomb attack in the Afghan capital Kabul. A suicide bomber has died in a blast opposite the US Consulate in Jeddah, Saudi Arabia, state TV reports. Two security guards were said to be lightly injured after the man detonated a device in the Red Sea city in the early hours of American Independence Day (July 4).